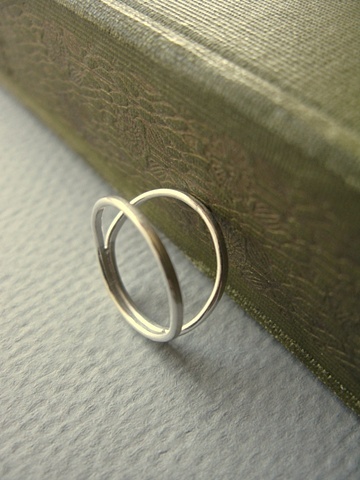 What is it about slender bands of silver that make hands look oh-so-poetic? With this ring, you get two slim, shiny rings in one. Looks amazing worn with the Triple Ampyx ring on another finger.